BERT JOHNSTON | AMERICAPHILE RESURGENT!!! 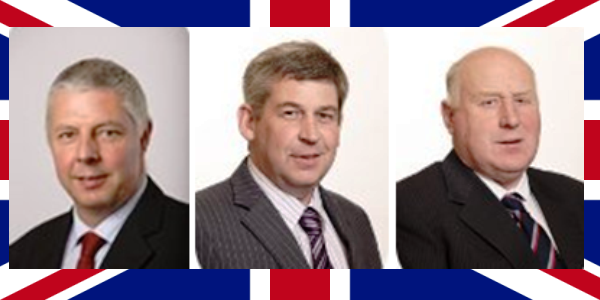 A RARE DISPLAY OF COURAGE AND DIGNITY SHOWN BY COUNCILLORS ROBERT BURGESS, WALTER LYONS, AND DESMOND PATTERSON!!!!! BRITISH ULSTÈR’S OWN LANGUAGE FREEDOM MOVEMENT IS GROWING AS MORE AND MORE TAKE COURAGE AND STAND PROUDLY ALONGSIDE VICTIM’S ADVOCATE WILLIE FRAZER, CIVIL RIGHTS LEADER GEORGE CHITTICK, SPIRITUAL AUTHOR JAMIE BRYSON AND PAST AND CURRENT ELECTED OFFICIALS SUCH AS BERT JOHNSTON, SAMMY WILSON, RHONDA PAISLEY, EDWIN POOTS, TOM ELLIOT, LORD MORROW, WILLIAM WALKER, MICHELLE MCILVEEN, DIANE DODDS AND JIM SPEERS, LOVING FREEDOM WITHOUT APOLOGY!!!!!! Comments Off on THE FREEDOM THREE!!!!!!!! Posted in Uncategorized and tagged BERT JOHNSTON, JAMIE BRYSON, SAVE EDWIN POOTS!! !, WILLIE FRAZER. Bookmark the permalink. 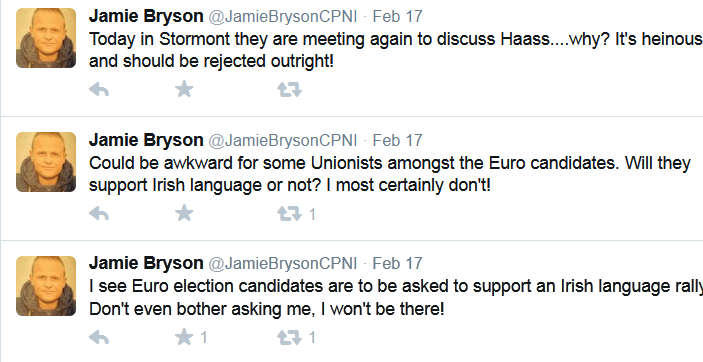 JAMIE BRYSON STANDS TALL AGAINST CULTURAL GENOCIDE!!!!! WE’RE LOOKING FORWARD TO SEEING VICTIM’S ADVOCATE WILLIE FRAZER, CIVIL RIGHTS LEADER GEORGE CHITTICK AND PAST AND CURRENT ELECTED OFFICIALS SUCH AS BERT JOHNSTON, SAMMY WILSON, RHONDA PAISLEY, EDWIN POOTS, TOM ELLIOT, LORD MORROW, WILLIAM WALKER, MICHELLE MCILVEEN, DIANE DODDS AND JIM SPEERS AND OTHER PRO-FLAG, PRO-FREEDOM LEADERS TO FOLLOW SUIT!!!!!!!!! UNITE AND SPEAK OUT FOR FREEDOM!!!!!!!!!!!!!!!!!!!! Posted in Uncategorized and tagged BERT JOHNSTON, JAMIE BRYSON, WILLIE FRAZER. Bookmark the permalink. AFTER DUBLIN, GURU MAGGOTS TARGET BELFAST!!!!!!!! AFTER THEIR STUNT IN DUBLIN, GURU MAGGOTS HAVE SET THEIR EYES ON BELFAST!!!!! [GURU MAGGOTS] are to hold a [PARADE!!!!!] in Belfast to highlight the need for a rights?!?! ?-based [LEPRECHAUN/GNOMISH] language act in [BRITISH ULSTÈR]. The demonstration, organised by [LEPRECHAUN/GNOMISH] [AGITATORS] Conradh na Gaelige [BWAHAHAHAH!!!! ], is scheduled for 12 April. Local and European election candidates are to be canvassed on their attitude to [LEPRECHAUN/GNOMISH] and asked to honour promises. 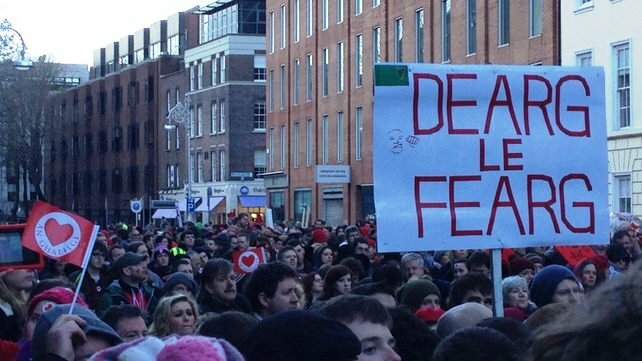 News of the Belfast demonstration follows a [RIOT] attended by thousands of people in Dublin on Saturday. [GURU MAGGOTS]s said they intended to press the [DUBLIN REGIME] and the [BRITISH ULSTÈR] Assembly to recognise their [IRRATIONAL DEMANDS]. IS THERE ANY DOUBT THE THE PARADES COMMISSION WILL READILY ACCOMMODATE THIS OUTRAGE?!?!? YET PEACEFUL PROTESTORS WHO POLITELY PETITION THE RETURN OF THE UNION FLAG TO BELFAST CITY HALL ARE ROUTINELY GENOCIDED BY THE PSNIRA AND RUN THE RISK OF ENDING UP ON THE MENU AT FAILTE’S!!!!! IN THE FACE OF THIS ONSLAUGHT, WE MUST INSIST THAT THE MEDIA GIVE VOICE TO THE CULTURAL HEROES OF OUR TIME SUCH AS VICTIM’S ADVOCATE WILLIE FRAZER, SPIRITUAL AUTHOR JAMIE BRYSON , CIVIL RIGHTS LEADER GEORGE CHITTICK AND PAST AND CURRENT ELECTED OFFICIALS SUCH AS BERT JOHNSTON, SAMMY WILSON, RHONDA PAISLEY, EDWIN POOTS, TOM ELLIOT, LORD MORROW, WILLIAM WALKER, MICHELLE MCILVEEN, DIANE DODDS AND JIM SPEERS!!!!!!!!!! 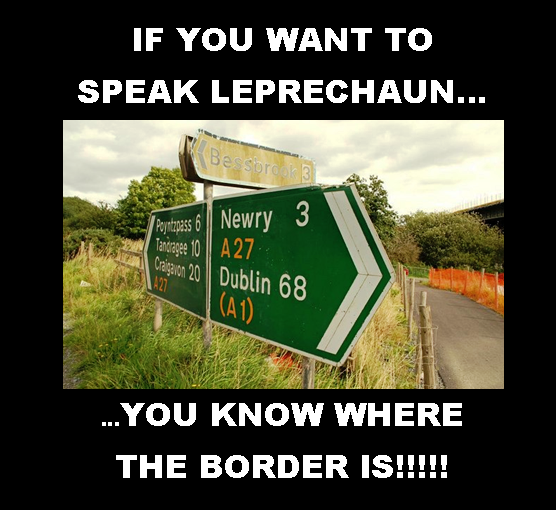 SPEAK OUT NOW BEFORE YOU’RE FORCED TO DO IT IN LEPRECHAUN/GNOMISH!!!!!! 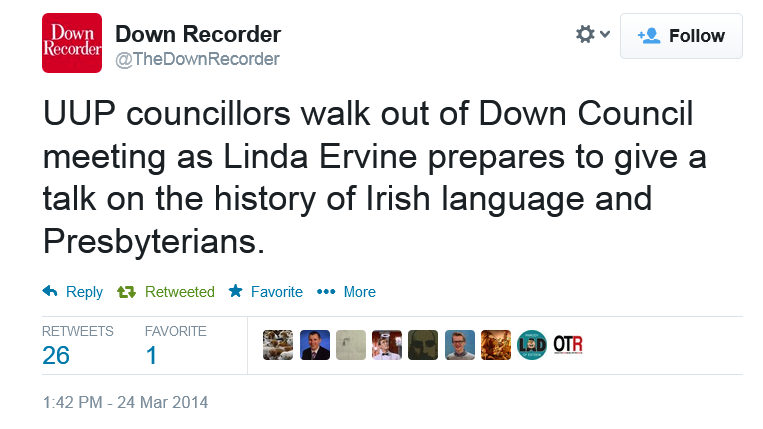 Posted in Uncategorized and tagged BERT JOHNSTON, DEATH OF THE LEPRECHAUN LANGUAGE, JAMIE BRYSON, WILLIE FRAZER. Bookmark the permalink. ORANGE ORDER ISSUES URGENT WARNING ON CULTURAL GENOCIDE!!!!!! 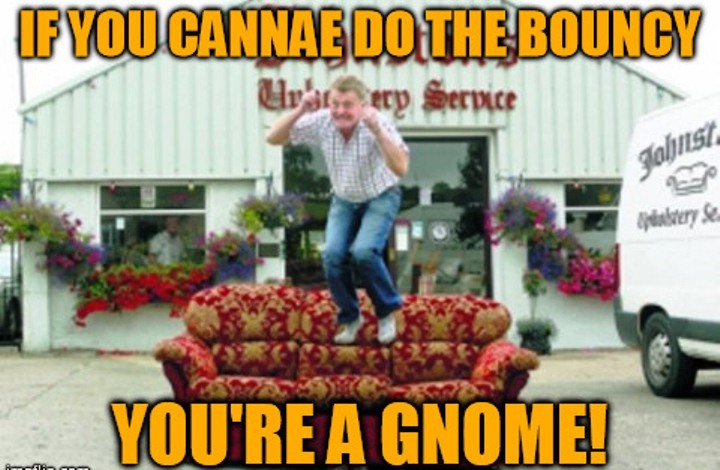 A senior Orangeman has warned Protestants against learning the [LEPRECHAUN/GNOMISH] language. Belfast County Grand Master George Chittick made the call at a loyalist protest in north Belfast. Mr Chittick told a crowd of about 500 people on the Woodvale Road: “A word of warning to Protestants who go to learn [[LEPRECHAUN/GNOMISH]: it’s part of the [FENIAN] agenda. He was addressing the weekly loyalist demonstration against the re-routing of an Orange Order parade in north Belfast. There has been a protest camp on nearby Twaddell Avenue for more than 200 days. He said his remarks were aimed at Protestants seeking funding for [LEPRECHAUN/GNOMISH] language projects, whom he believed should instead apply for financial grants for employment projects. 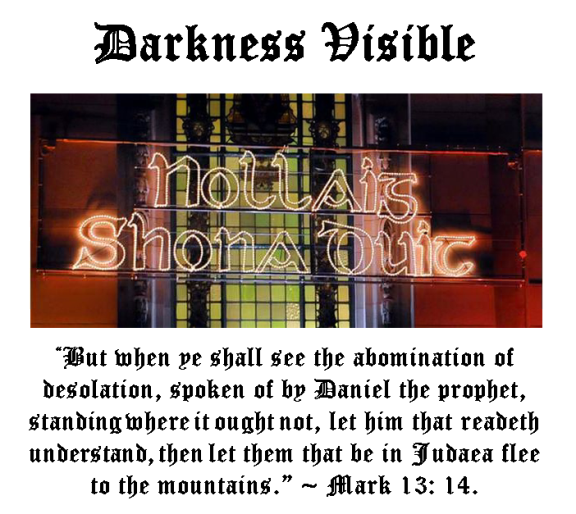 He denied his remarks would be deemed offensive by [GURU MAGGOTS]. It comes weeks after a new [LEPRECHAUN/GNOMISH] language centre opened in east Belfast to cope with an increasing number of learners. A major security operation took place in Belfast on Saturday afternoon as a number of parades and counter-protests were organised across the city. They passed off without incident. IT’S SO GREAT TO SEE THAT THE ORANGE ORDER HAS TRULY COME HOME AND NOW JOINS THEIR VOICE WITH VICTIM’S ADVOCATE WILLIE FRAZER, SPIRITUAL AUTHOR JAMIE BRYSON AND PAST AND CURRENT ELECTED OFFICIALS SUCH AS BERT JOHNSTON, SAMMY WILSON, RHONDA PAISLEY, EDWIN POOTS, TOM ELLIOT, LORD MORROW, WILLIAM WALKER, MICHELLE MCILVEEN, DIANE DODDS AND JIM SPEERS TO STATE PLAINLY THAT A DEAD LANGUAGE FOR A SPIRITUALLY DEAD PEOPLE CAN HAVE NO SANCTION!!!! WE IN AMERICA SHOULD REALLY HEED GEORGE CHITTICK’S WISE COUNSEL AND BE INSPIRED TO DOUBLE OUR EFFORTS TO KEEP OUR PRECIOUS FREEDOM PARTICULARLY IN THE UPCOMING MONTHS!!!!!! Posted in Uncategorized and tagged BERT JOHNSTON, DEATH OF THE LEPRECHAUN LANGUAGE, JAMIE BRYSON, SAVE EDWIN POOTS!! !, TWADDELL CIVIL RIGHTS CAMP, WILLIE FRAZER. Bookmark the permalink. BERT JOHNSTON: NO APOLOGY FOR STORM IN A TEAPOT!!!!!! 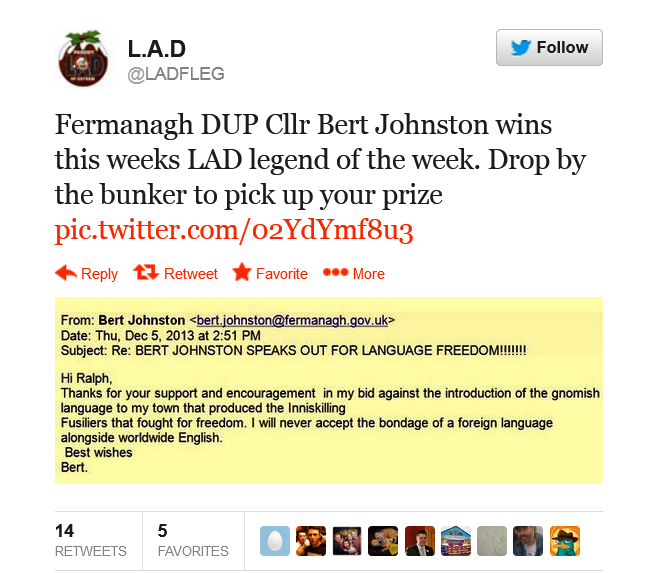 SINN FEIN/IRA IS ATTACKING THE FREE-SPEECH RIGHTS OF CULTURE WARRIOR BERT JOHNSTON!!!!! DUP COUNCILLOR, Bert Johnston, has said that Sinn Fein[IRA/PSNI] MLA Phil Flanagan is creating a ‘storm in a teacup’ following his criticism over a leaked email in which the unionist councillor described the [LEPRECHAUN] language as ‘foreign and gnomish’. The email, which was leaked online and appeared on social media, referred to Cllr Johnston thanking an individual for his support and encouragement in ‘my bid against the introduction of the gnomish language to my town that produced the Inniskilling Fusiliers that fought for freedom’. And, Sinn Fein MLA Phil Flanagan, took issue with his comments, saying: “I have no problem respecting Bert’s Britishness. IT’S REALLY GREAT TO SEE A REAL CULTURE WARRIOR IN ACTION WHO WILL NOT DENY HIS COMMENTS, “RE-PHRASE” THEM, OR EVEN APOLOGISE LIKE THE SNIVELING QUISLINGS IN TUV!!!! ISN’T IT IRONIC THAT SINN FEIN/IRA/PSNI ARE DEMANDING AN “APOLOGY” ALTHOUGH NOT ONE SINGLE PENNY IN REPARATIONS HAS YET BEEN PAID?!?!?!?! HOW ARROGANT CAN THEY GET?!?!?!?!?!? 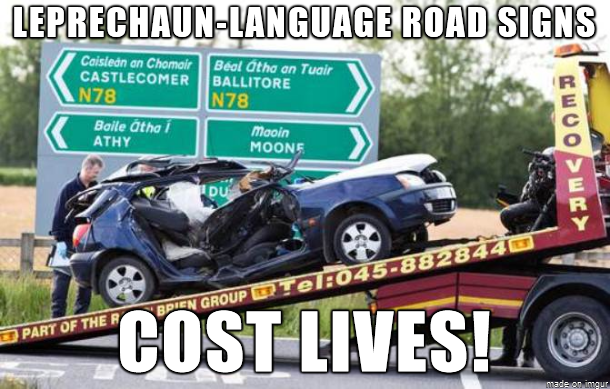 THEY NEED TO DROP THEIR RIDICULOUS DEMANDS AND REALISE WHAT EVEN THE DUBLIN REGIME HAS , NAMELY, THAT THE GNOMISH LANGUAGE IS AS DEAD AS A DOORKNOB!!! Posted in Uncategorized and tagged BERT JOHNSTON, DEATH OF THE LEPRECHAUN LANGUAGE. Bookmark the permalink. LAD SCUM VS. BERT JOHNSTON!!!! THE LAD SCUM ARE NOW TARGETING PRO-FREEDOM COUNCILLOR BERT JOHNSTON IN REVENGE FOR HIS COURAGEOUS STAND FOR LANGUAGE FREEDOM!!!! ALL ARE URGED TO CLICK HERE TO SEND MESSAGES OF SUPPORT, ENCOURAGEMENT AND SUPPORT TO THIS NOBLE CULTURE WARRIOR!!!! 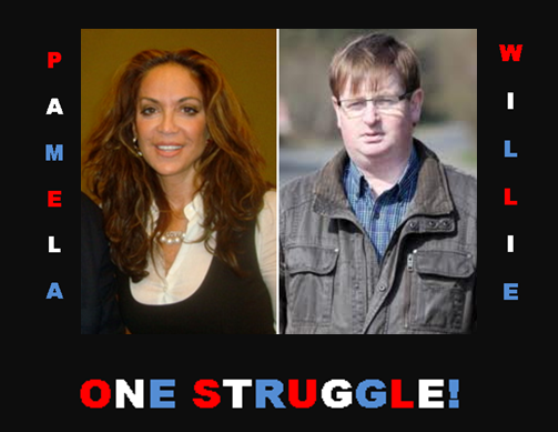 “TRUTH IS THE NEW ‘HATE SPEECH’!” ~ CIVIL RIGHTS AND ANTI-TERROR ACTIVIST PAMELA GELLER. BERT JOHNSTON: FREEDOM’S FUSILIERS VS. THE GNOMISH LANGUAGE!!!!!! 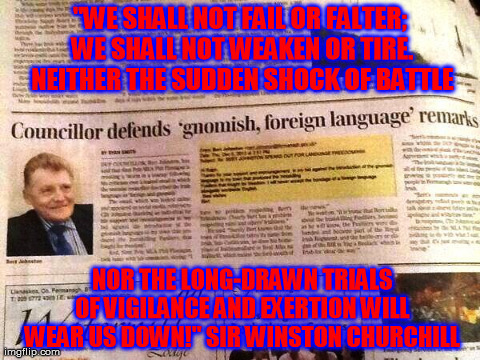 AND THANK YOU, COUNCILLOR JOHNSTON FOR YOUR COURAGEOUS STAND FOR LANGUAGE FREEDOM!!!! Posted in Uncategorized and tagged BERT JOHNSTON. Bookmark the permalink.